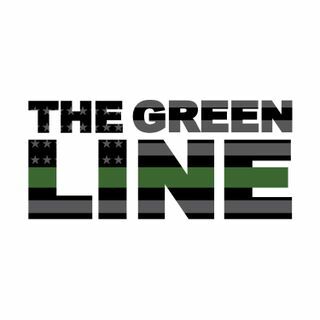 In this week's episode of The Green Line - Art Del Cueto discusses recent comments made about "Animals" crossing the border and already within the United States. Art reaffirms the focus of the statement was made towards the MS-13 members. Art shares his experience with MS-13 and why he disagrees with the Presidents statement. A recent situation near the northern border is discussed and Art shares ways to have the entire process of a field questioning or checkpoint stop go ... See More much smoother. Movies are discussed and how Hollywood has portrayed Border Patrol. Upcoming action films are discussed that center around smuggling and human trafficking operations near the border including the announced Rambo 5. Clint Eastwood also has a film in development called The Mule based on the life of Leo Sharp. Art shares the jaw dropping story of a Judge who recently released a Dominican national from a drug case as well as a career criminal out on weapons charges who is a suspect now in the murder of a sheriff. A new book from a former border patrol agent has Art wondering why this author even joined the BP. Art shares a story of one of his first arrest, a life learning story in the memoirs of Art Del Cueto. What Would Riggs Do?